The hot, dry weather continues as 2018 is turning out to be a memorable, once-in-a-generation summer here in Ireland and in Britain. 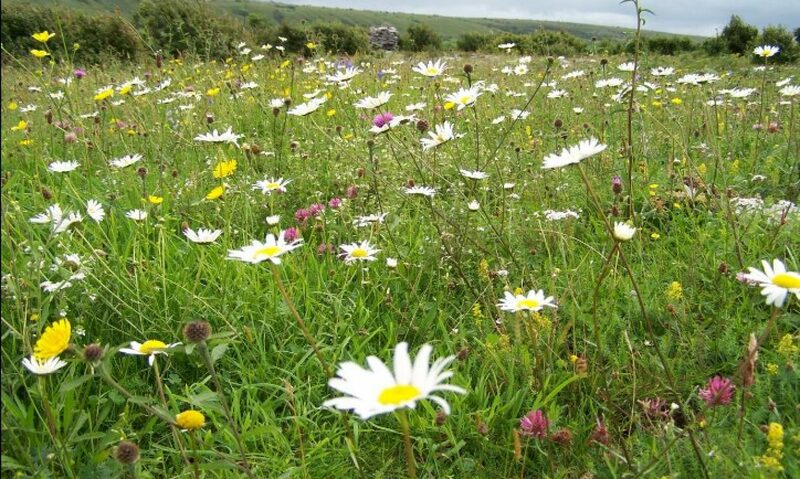 However, the dry conditions may pose trouble for species that breed on herbs on thin soils now affected by drought and for the grass-feeders especially those that breed on grasses in open, unshaded areas on thin and well-drained soils. 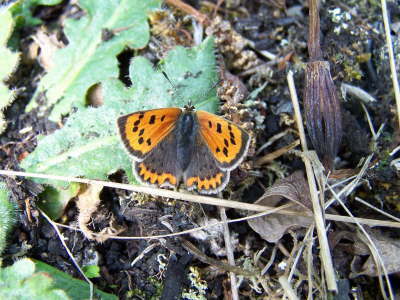 It has been a bumper year for Marsh Fritillary, now finished flying for the year. 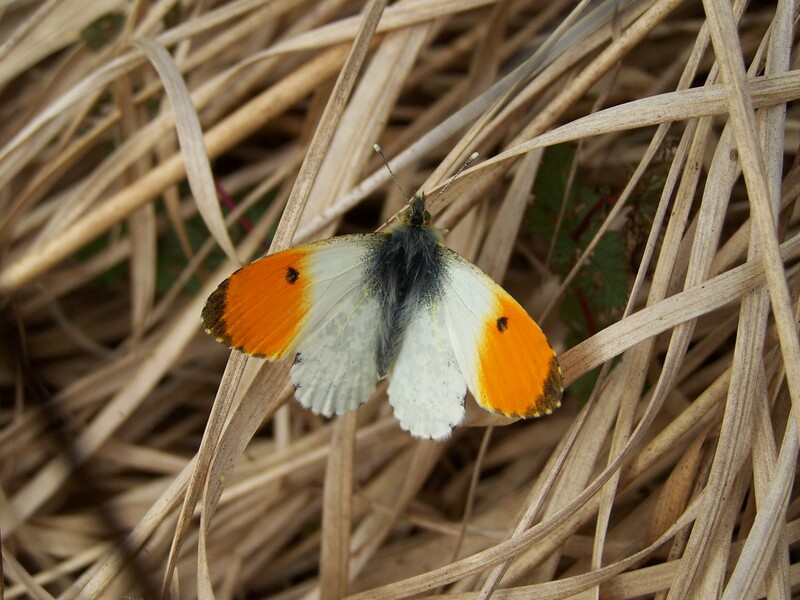 The butterfly has been expanding its distribution by taking advantage of the warmth to fly beyond the often narrow confines of its sites to seek breeding ground further afield. Another butterfly that does this is our largest native butterfly, the Silver-washed Fritillary. 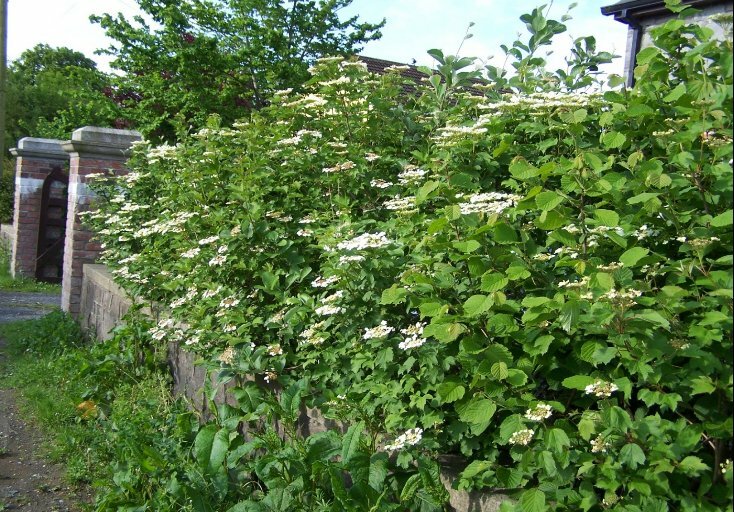 In early July it is at the start of its flight period and fresh examples look really magnificent so get out to the woods and look along the tracks where flowering bramble occurs. 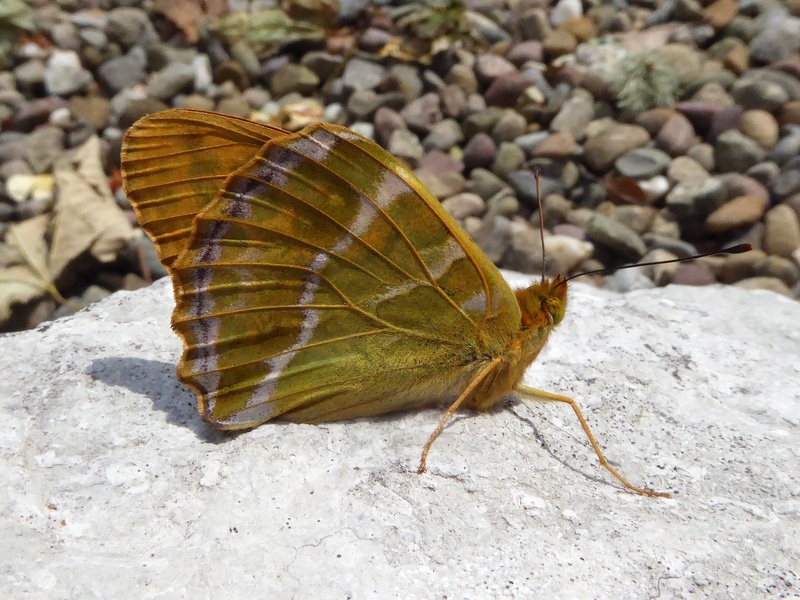 The Silver-washed Fritillary is unlikely to be missed if present. 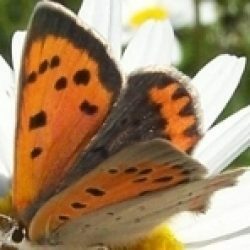 The large size, dashing yet graceful flight and deep orange upper sides marked with black bars (male only) and black spots (both sexes) make it a striking butterfly. 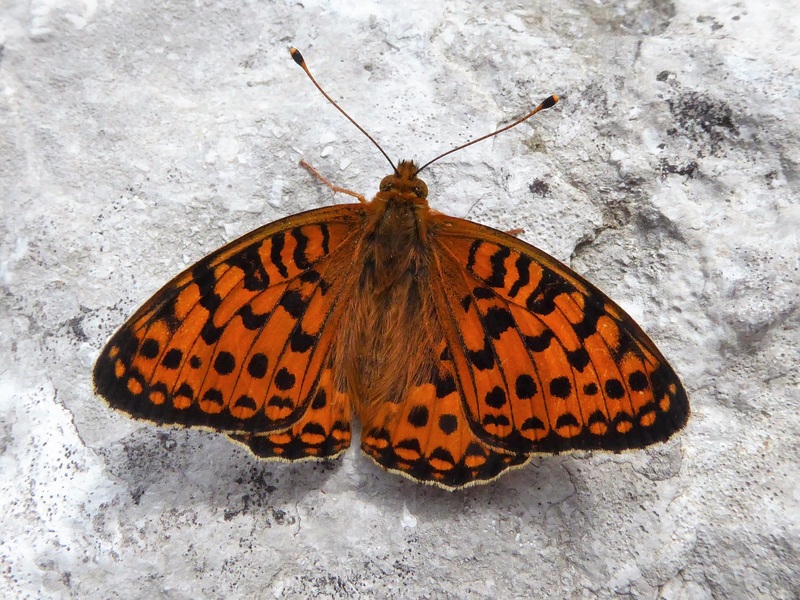 Avoid confusion with its slightly smaller but even faster-flying relative, the Dark Green Fritillary. The males of both species look quite similar on their upper surfaces but the undersides differ more clearly. 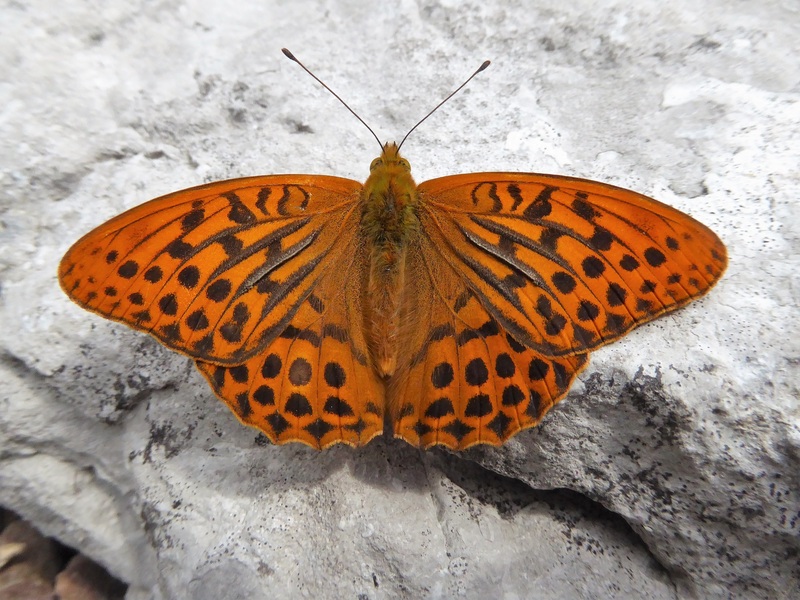 The Silver-washed Fritillary lives up to its name by having washed silver bands on a greenish hind-wing, while silver spots on a greenish background indicate a Dark Green Fritillary. 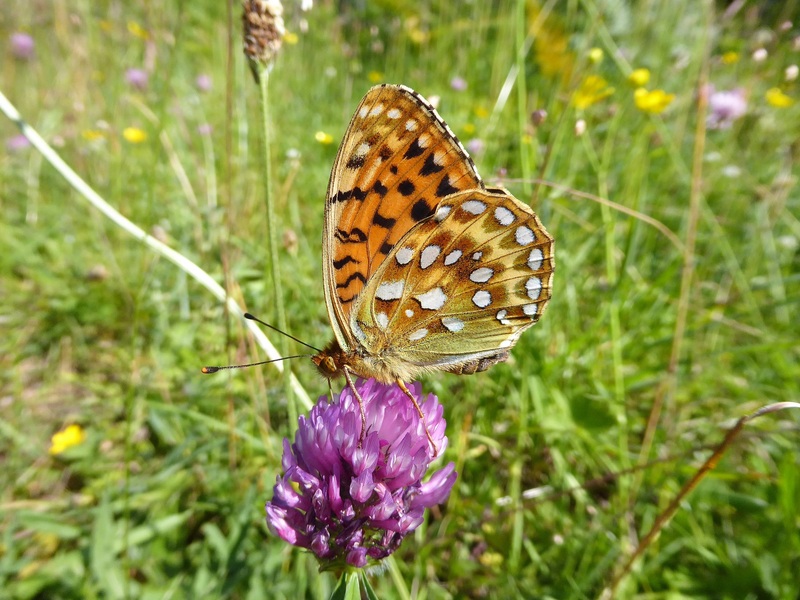 Each species preferred habitat is often different, with Dark Green Fritillary preferring more open, grassy sites but the Dark Green Fritillary may appear in large clearings in woodland and along some wood edges where the Silver-washed Fritillary flies. 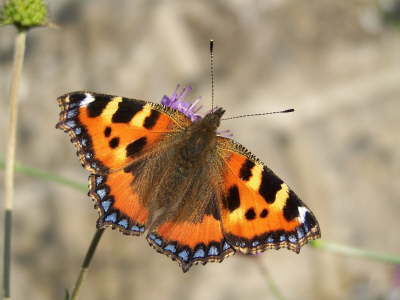 The first generation of Small Tortoiseshells is flying, but most of these will not fly for long. 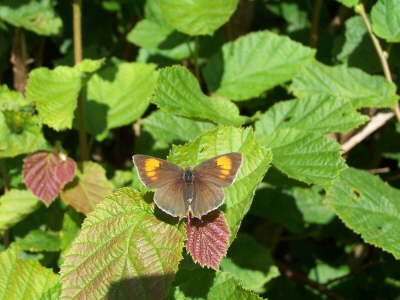 The majority will remain on nettle beds, breeding to produce a long-lived second brood most of which will pass the winter as adult butterflies. A small number of first generation Small Tortoiseshells will not breed this year but will over-winter together with the second generation butterflies. 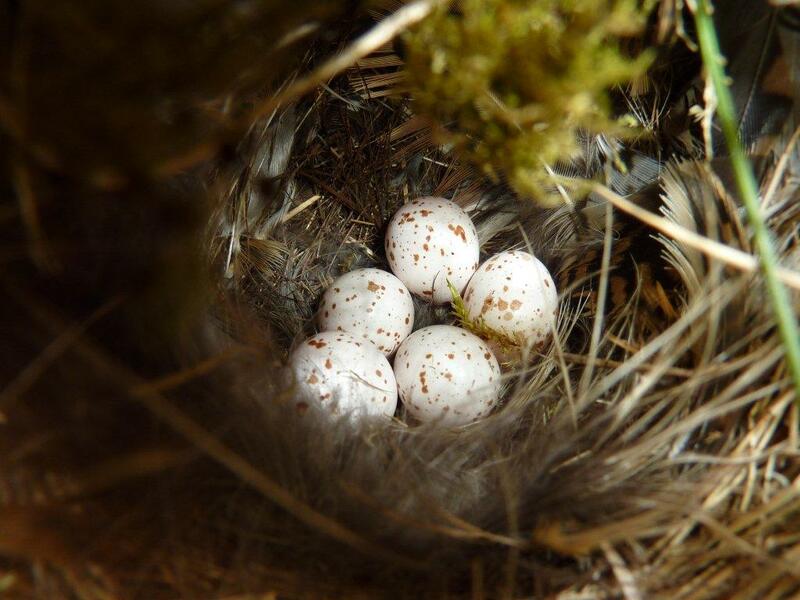 However, some second-generation adults may breed this year to make a third brood, especially if weather conditions allow. 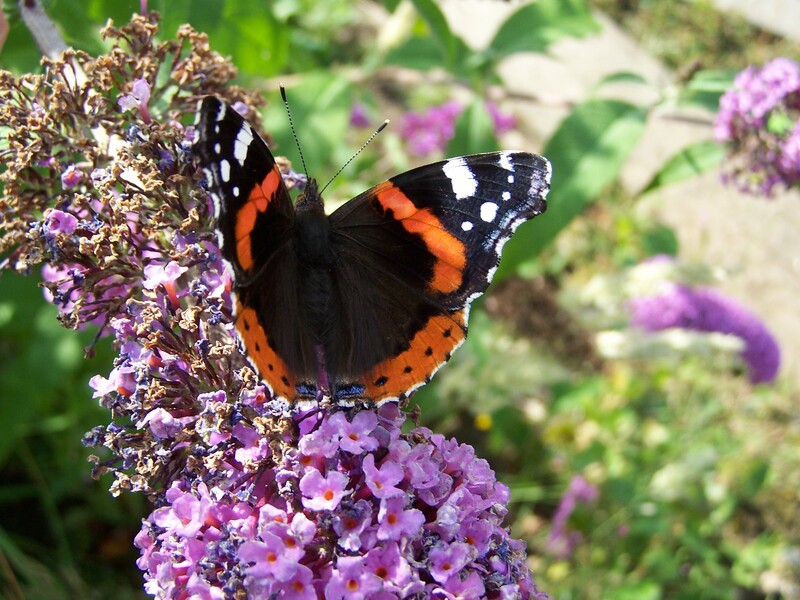 The result of delayed breeding is that up to three generations of Small Tortoiseshells may be spending the winter as adult butterflies. 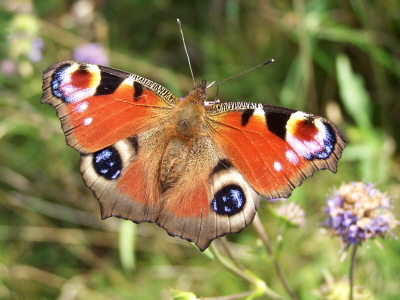 The majority of over-wintering Small Tortoiseshells will be second generation adults that emerged as adults towards the end of August and during September. 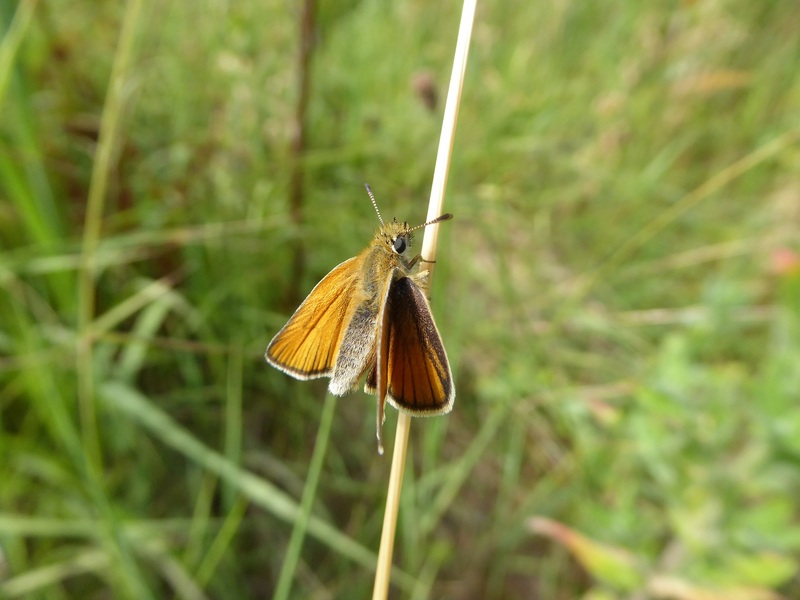 Green-veined Whites will build their numbers to peak later in July, while Small Skipper and Essex Skipper butterflies are on the wing now, the latter in County Wexford where good numbers have already been seen. 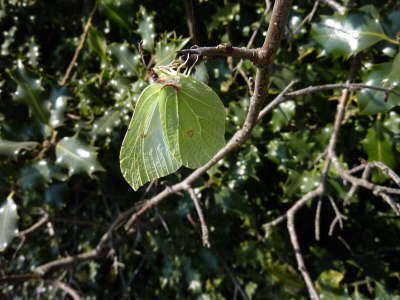 The new generation of Brimstones is beginning to emerge and unsurprisingly given the heat it is appearing earlier this year. 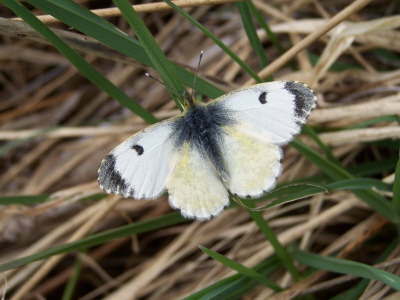 Earlier emergence may mean it is active for a longer time and this will probably result in higher numbers being predated before it retires to scrub and woods to pass the winter as an adult butterfly. Less evident but no less interesting are the larvae present now. Peacock larvae are finishing their growth and the Small Blue larvae are departing their disintegrating Kidney Vetch flowers to seek sanctuary in the substrate below. 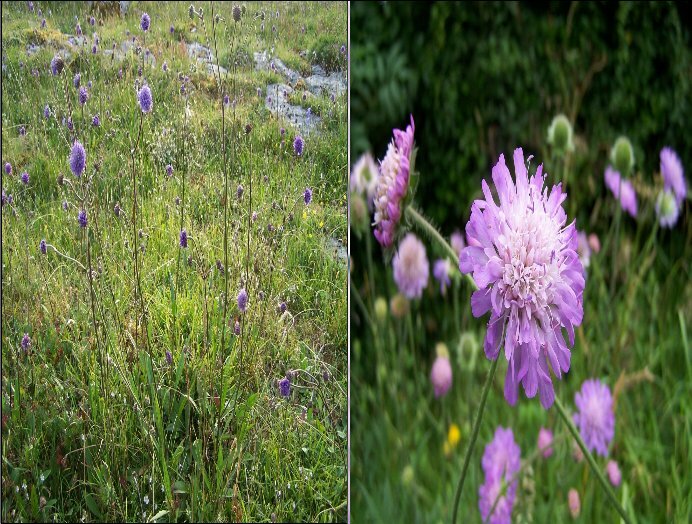 They can be seen now on good sites feeding openly on the seed on the now flimsy inflorescence. Some will be seen on stalks, heading downwards. These larvae will pass the next eight or nine months as fully-fed larvae. These will pupate from April to fly in May and June. Timing is everything for the larvae; they need to be full-grown by the time the food plant’s seed (the part of the plant the larva feeds on) falls to the soil. If not fully-fed by then, it is likely to starve. Some have probably starved already, as many Kidney Vetch plants on sand dunes have expired in the arid, rainless weeks. 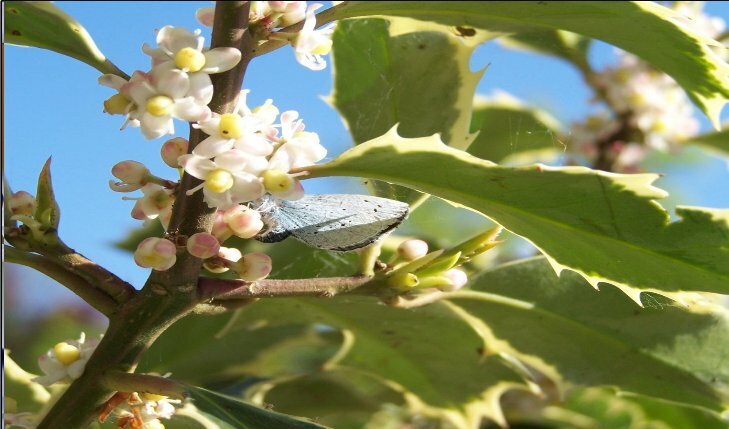 Expect less Small Blues next year where the plants have shrivelled. 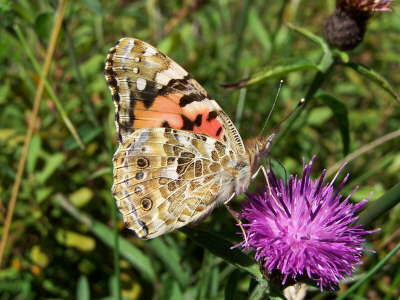 Now follows a butterfly seen only by the fortunate or extremely dedicated searcher. 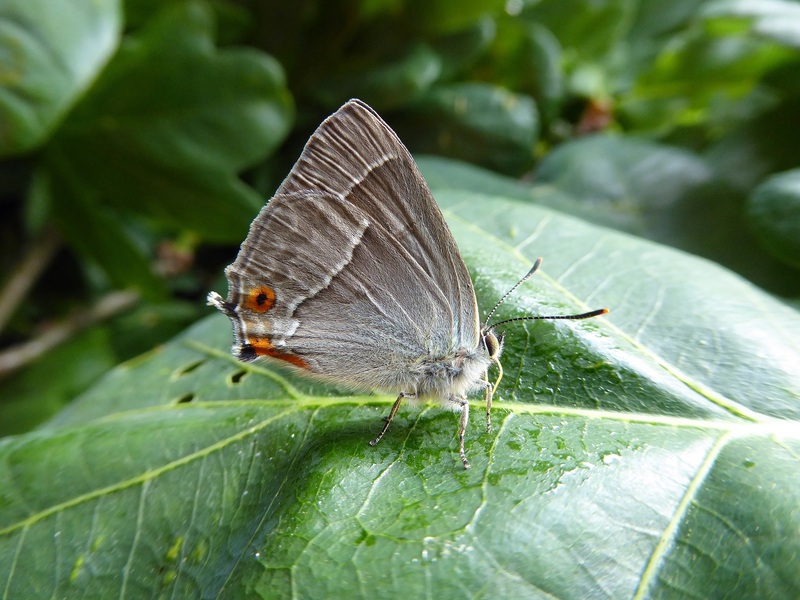 The Purple Hairstreak is a tree-top dweller flying now in oak woods or woods containing oaks. However, it is very limited in its known distribution in Ireland because of the scarcity of oak woodland and woodland with good stands of oaks. Binoculars are the usual method of discerning it high up in the leafy oak tops, spinning in the sunlight in a delicious combination of purple and silver. 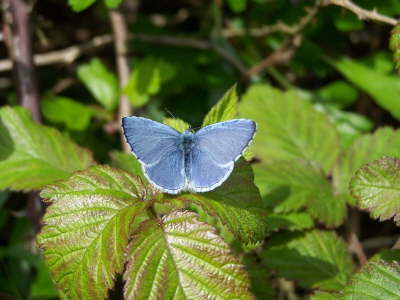 The oak woods in County Wicklow are probably where the highest populations occur but the oak woods in Killarney National Park are reputed for its Purple Hairstreak numbers. The oaks adjacent to the American Embassador’s residence in the Pheonix Park, Dublin also has the butterfly in very good numbers. 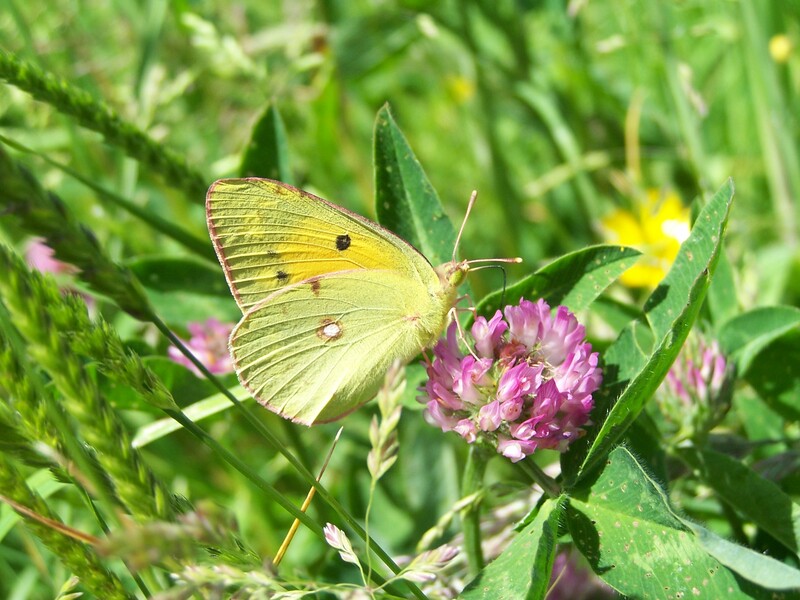 This year Ringlets are superabundant in their favoured habitats but a concern exists for the numbers expected next year. 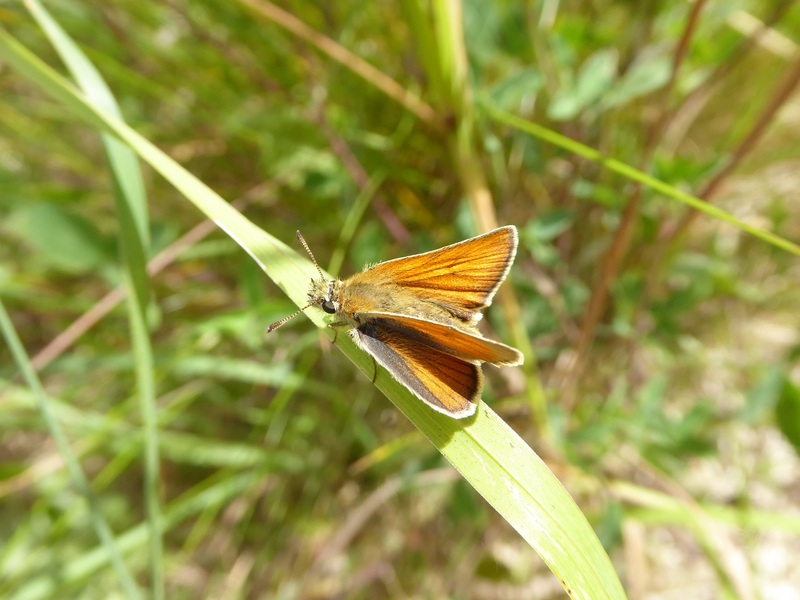 The larvae feed on lush grasses growing in areas where some shade exists. 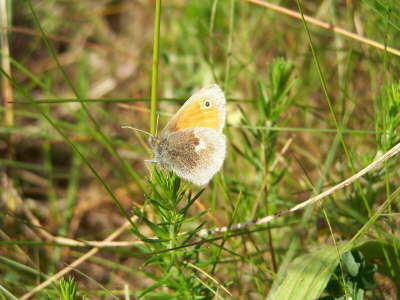 The heat and drought, if it continues for another few weeks, may lead to a deterioration in its grasses, but these conditions are perhaps even more likely to reduce the ranks of next year’s Meadow Browns, which prefer grasses growing in open conditions bearing the full desiccating impact of hot dry weather. 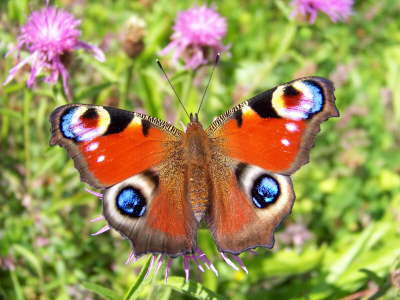 However, these common butterflies will bounce back in the following seasons given the return of rain which will renew butterfly food plants. But for now, just enjoy July 2018. Silver-washed Fritillary underside. 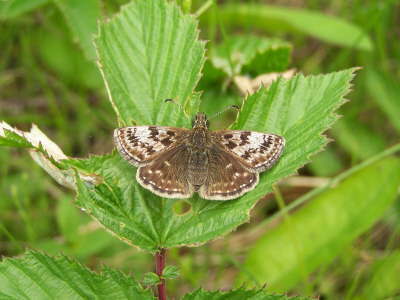 Note the silver band crossing near the centre of the hindwing.©J.Harding. Dark Green Fritillary underside. 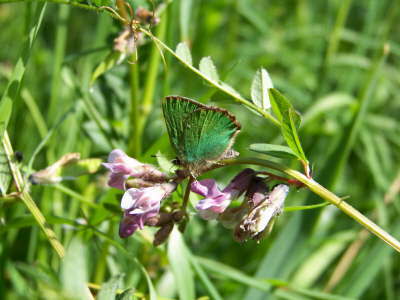 This has prominent silver spots on the hind-wing. © J.Harding. 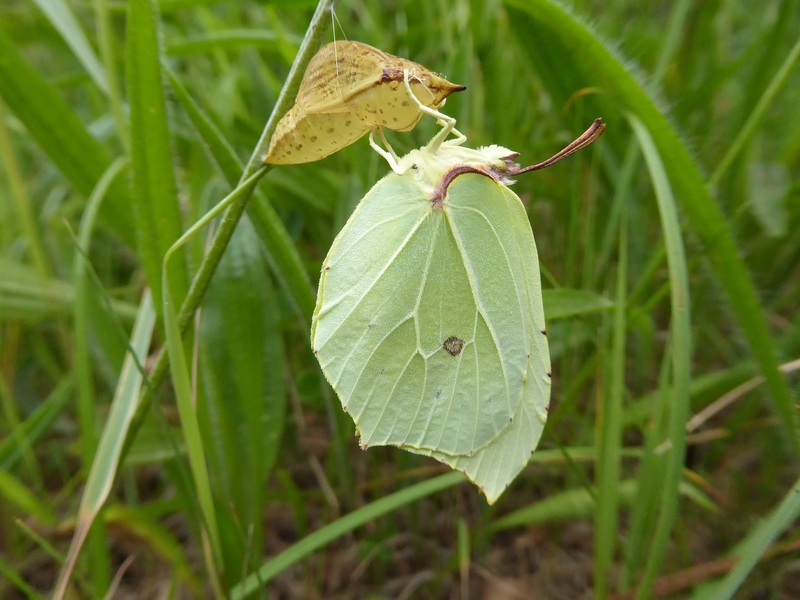 This female Brimstone emerged from her pupa on July 8th at Lullybeg, County Kildare. ©J.Harding. 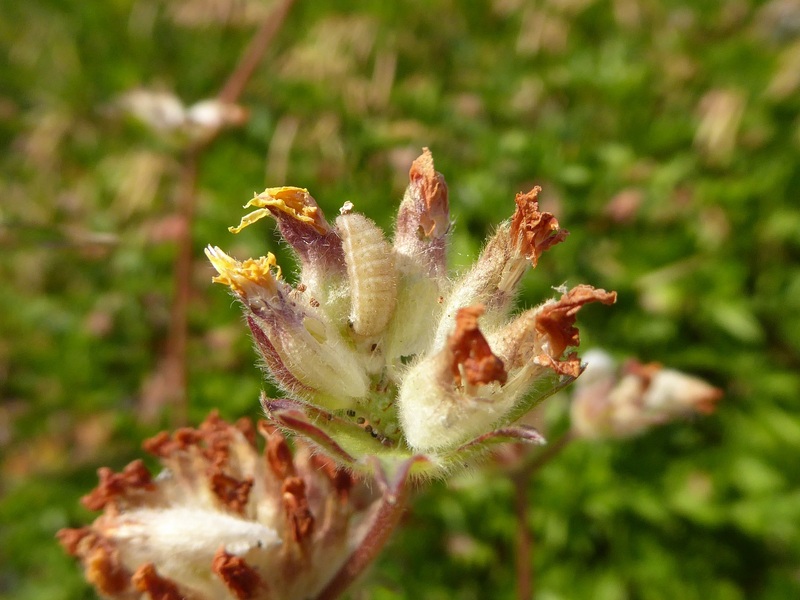 Small Blue larva, head downwards, feeding on Kidney Vetch seed.© J.Harding. Butterfly Conservation Ireland; Registered office; Pagestown, Maynooth, Co. Kildare. Charity no. 18161. Registered Charity Number 20069131. This company limited by guarantee. Registered in Ireland no. 451571.